Alexes says, "We tend not to think of our bones as a living organ -- but they are very much alive. In addition to providing structure for our body, they protect all our important organs and help us nourish our entire body with the creation of red and white blood cells. Very much alive, turning over their cells and composition on a regular basis, our bones are literally changing every day." A medical study in The American Journal of Physiology suggests that the oxygen supply to our bones directly affects bone formation and bone physiology. In my breathing workshop, I am always reminding my students that our breathing is supplying the oxygen to every single cell in our body. When it comes to delivering oxygen to our breathing bones, the supply is either helped or hindered by our alignment -- this is where Tamar comes in. As a physical therapist, Tamar helps people find efficient and neutral body alignment because she knows that proper bone alignment optimizes breathing. Tamar points out that poor posture is often the result of muscular imbalances due to repetitive activities or positions without reprieve. Think of spending hours bent over a computer without a break, or carrying a heavy purse on the same side of your body every day. If the skeleton is not aligned and no longer efficient it will not only cause discomfort and damage to joints, organs and muscles, but will also infringe upon the diaphragm's ability to do its job. Tamar says, "Ideal postural alignment comes from being upright against gravity so that your bones fit properly with one another. 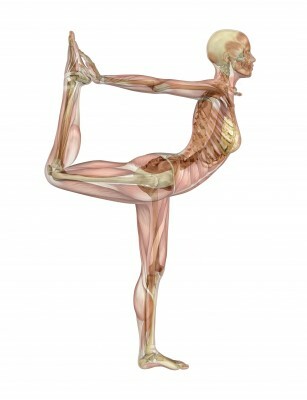 An optimal distribution of forces on bones and joints allow your muscles to relax and minimizes stress on your tissues. Efficient and neutral body alignment optimizes breathing, allowing the lungs to expand and the diaphragm to descend for inhalation. Proper posture allows the musculoskeletal system to function with minimal muscular effort and zero give." Since I have dedicated a large part of my life to being a cheerleader for the cause of conscious breathing and mindful movement. I am more than delighted when Dr. Hazen says, " Healthy breathing makes for healthy bones!" and when Tamar claims, "Your bone positioning affects the quality of your breathing." (and I hope you do so often) that the image in your mind is one of strong yet supple and malleable living tissue, full of activity, and rich with fluid, flowing purpose -- because then I am sure that you will develop a lifelong dedication to their care. We do have an emotional relationship with our bodies, and if you ascribe to the notion, "as I think, so I am," then it's best that you think well. Whether we wish to acknowledge it or not, we are involved in an emotional relationship with our entire body all the time. For more by Carla Ardito, click here.